When approaching the Garden of the Gods one cannot help being struck by the awe inspiring red rock formations. Mostly consisting of Red Lyon Sandstone rock these formations have taken millions of year to be shaped into what we see today. With prehistoric people visiting the formation as early as 1330 BC, this rock formation has stood to inspire humans for thousands of years. 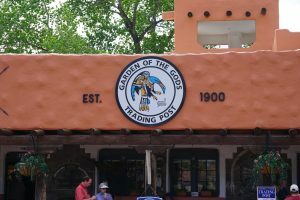 Several Native American tribes have claimed connection to Garden of the Gods, but the most notable tribe would be the Utes. This tribe of Native Americans was believed to be attracted to the native plant and animal life. The Utes would later lead Spanish and other European explorers to and through the rock formations. Two surveyors are credited with naming the park through common banter. M.S. Beach, one of the surveyors, exclaimed when seeing the rock formations, “Capital place for a beer garden!” To which Rufus Cable, the second surveyor replied, “ beer garden! Why it is a fit place for the gods to assemble. We will call it the Garden of the Gods.” Eventually in 1879 Charles Elliot Perkins would buy 480 acres of the land that would later be called Garden of the Gods. Before his death Perkins’ wish was that this land be gifted to the city of Colorado Springs. After his death this wish was fulfilled by his six children on December 25, 1909 with one stipulation, this land remains open and free to the public just as their father had dreamed it would. 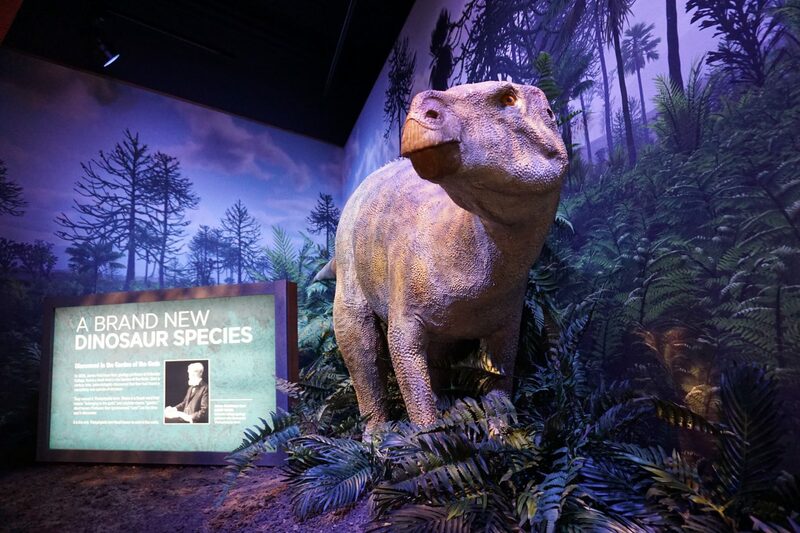 From 1909 to the present the park has grown from 480 acres to its current size of 1,367 acres. When first entering the park you are greeted by many of the rock formations that are visible from the road. 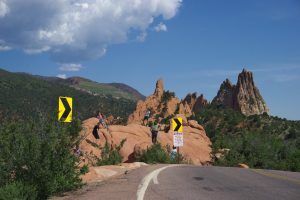 These bare and massive rocks protruding from the ground seem slight when compared to Pikes Peak, which looms in the background. Arriving at the visitor center one can gain knowledge of the local wildlife and fauna that inhabit this area as well as the creatures that inhabited this area in the past such as an interesting species of dinosaur. Along with the history lessons one can also pick up trinkets, maps, and food from inside the visitors center. 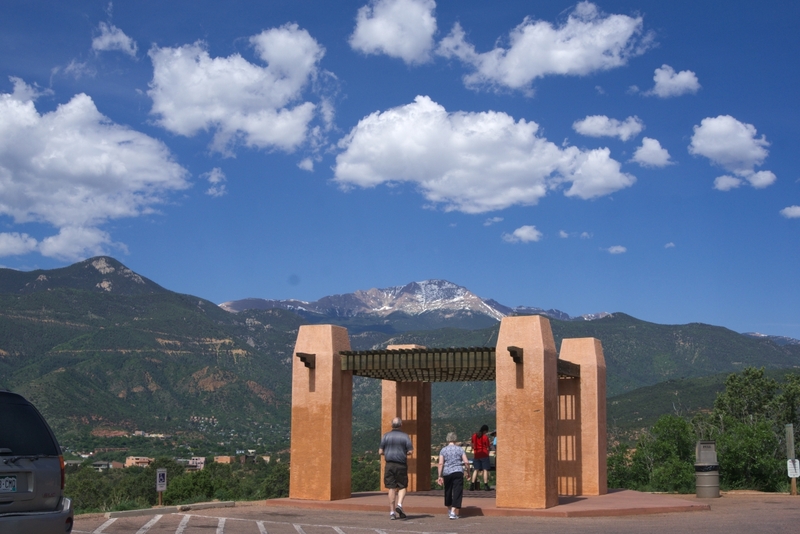 The main reason to go into the visitor center however is to photograph the unobstructed view of the rocks and to see a three dimensional model of the entire park. Once you have left the visitors center the real jaw dropping starts to commence. Once you have entered the park you soon begin to realize the sheer scale of this formations and begin to realize only millions of years of tectonic plate movement could really form these giant spires and crags. You are able to see many of the formations from your vehicle, but the real views come into perspective when you park and begin to hike the numerous trails that are available to the public. Being dedicated a National Natural landmark in 1971, Garden of the Gods has taken away thousand of breaths from all around the globe. The most opportune time to gaze upon this park, however, is not during the afternoon rush with all of the other tourists. In order to really gain perspective on the sheer wild beauty that the park emulates, I would recommend going in the early hours of the morning if possible. 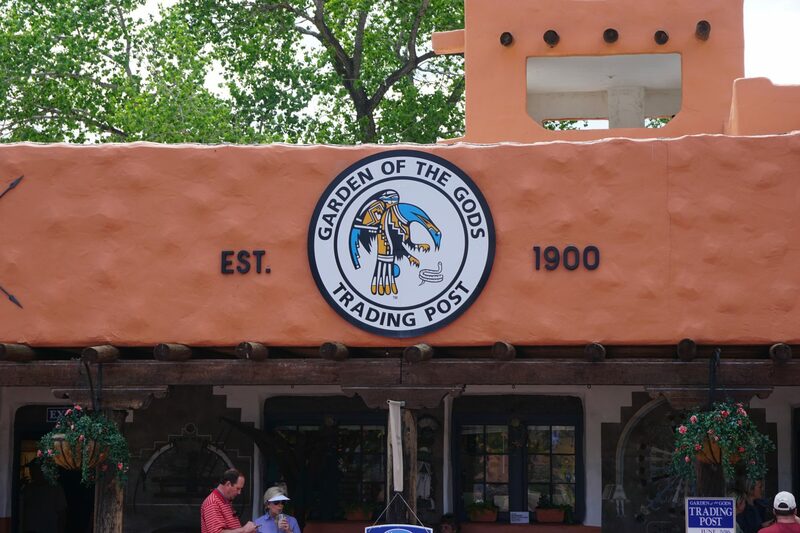 This way the city is still relatively quiet, and you are able to fully take in the untouched beauty that is The Garden of the Gods. This entry was posted in Community, Hikes, Parks 'N Barks and tagged City Parks, colorado, colorado springs, Outdoor, Recreation, Tourist Attractions. Bookmark the permalink.